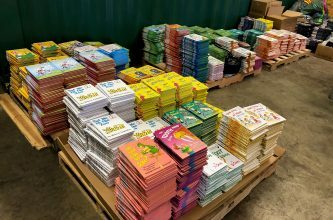 There were so many incredible Veterans Day projects completed by GFWC clubs this month that we had to dedicate another Volunteers in Action post to them! The GFWC Wamego Study Club (Kansas) had their Annual Workshop to benefit veterans on Monday, November 12. They worked together to sew bright red, green, and white felt stockings, and then decorate them and fill them with candy for veterans’ dinner tray favors at the Topeka Colmery-O’Neil Veterans Hospital. Members donated many pounds of candy to stuff the stockings and Christmas decorations to make them bright and festive! Study Club Veteran’s Committee Chairperson, Joyce Blanka, was happy to report that a total of 249 stockings were completed on Monday. Their Annual Workshop also netted $395.89 in donated items this year. In consideration of the list from the VA Hospital in Topeka of needed items, members brought individually wrapped crackers, cookies, popcorn, granola bars, and personal hygiene items for the veterans. The Club enjoyed a photo display of the War Memorials in Washington, D.C., lit a candle in honor of all veterans, and had a reading of the WWI poem “In Flanders Fields,” by John McCrae, which began the use of the Remembrance Poppy in 1915 for Veteran’s Day. November’s hostesses Pat Frey, Madge McDonald, Lauranell Stewart, and Patsy Eckart, served a hot and delicious luncheon of soup, Hawaiian slider sandwiches, fruit cups, and dessert. A beautiful autumn theme was used to decorate the tables. The GFWC Wamego Study Club would like to thank members Mary Jean Peterson, Patricia Strohmeyer, and Joyce Blanka for their hours of work prepping the stockings before the meeting, which made the work go smoothly during the workshop. Club members of WSC worked, visited, and enjoyed the time together while completing their project with a record number of stockings completed this year. Many hands really do make light work! To honor retired military veterans for Veteran’s Day, the High Springs New Century Woman’s Club (Florida) visited K9s For Warriors- Gold Family Campus. The organization trains rescue dogs to help veterans who are coping with post-traumatic stress disorder, traumatic brain injury, military sexual trauma, post-9/11 issues, and other psychological challenges associated with military service. 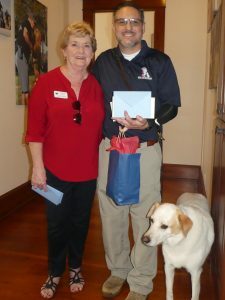 Gift cards for a local pet store were given to each resident along with a thank you card. The gift card will help the veteran with the supplies needed when they graduate and go home with their service dog. The dogs were not forgotten, and neither was the staff! 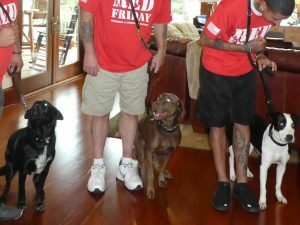 Each dog received a big bag of treats, and the staff members, also retired from the military, were presented with cookies and a thank you card. Lastly, GFWC Minnesota State President Jean Walker brought visibility to GFWC when she was featured in the Crookston Times in an article titled: “Walker dedicates her life to volunteering, honoring veterans.” It detailed the projects she has chosen to support during her presidency: the Veterans Honor Flight of North Dakota/Minnesota and the Eagle’s Healing Nest. 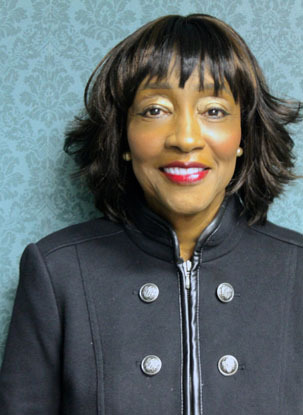 The article highlighted her advocacy efforts and dedication to veterans.